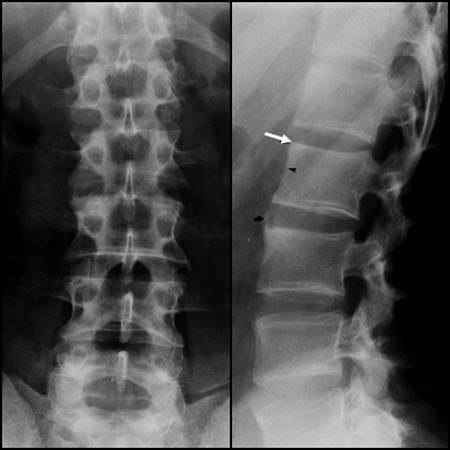 Conventional radiography is a well established method for detecting structural changes in the spine such as new bone formation between the vertebral bodies and fusions. In manifest disease radiography often gives a good overview of chronic changes, but supplementary MRI may be needed in early stages and for monitoring the disease during therapy. MRI can display signs of activity which cannot be obtained by other means. Supplementary CT may be necessary when fracture is suspected and also MRI in the case of spinal cord or nerve lesion. 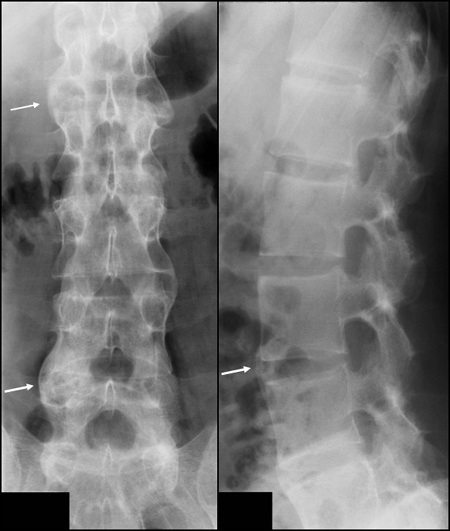 Grade 2: Slight changes, including erosion, vertebral squaring or sclerosis, with or without syndesmophytes, on < 2 vertebrae. Grade 3: Syndesmophytes on > 3 vertebrae, with or without fusion involving 2 vertebrae. 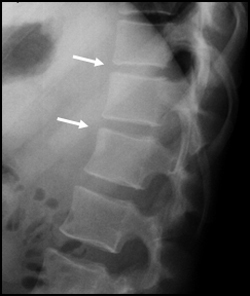 Grade 4: Fusion involving > 3 vertebrae. 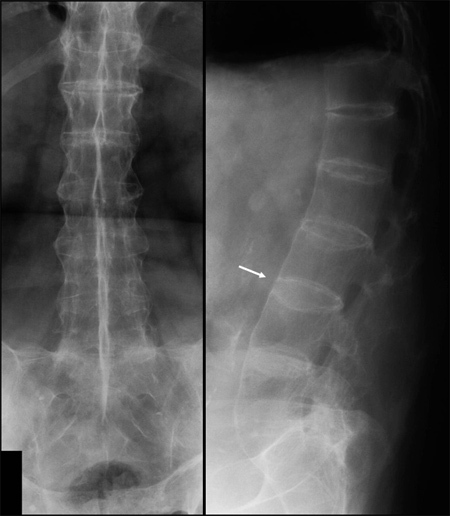 added the sacroiliac joint grade according to the New York criteria, grade 0-4. Added hip involvement, grade 0-4. Anterior and posterior changes in the lumbar spine (Th. 12 - S1) at lateral view. Grade 1: Erosion, sclerosis and/or squaring. Only anterior changes in both the cervical and lumbar spine at lateral view. Is recommended by OMERACT. Fusion of the apophyseal joints and ossification of the posterior ligaments are also seen.